Our Civil Engineering Department includes a structural division which can deal with losses involving metal, wood or concrete structures. The investigations invariably start with the examination of the failed structure in order to collect data for dimensions, materials, manufacturing and assembly methods. Upon these examinations, we usually find indications in the process and chronology of the failures. Then, with our digital analysis software, combined with the information resulting from the examination of the structure and its components, we are able to determine the precise mode of failure and thus, the cause of the loss. Our Chemistry and Metallurgy Department provides an added value to the investigation thanks to the examination of the quality or the deterioration of the materials used. 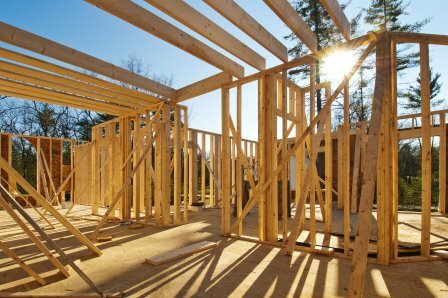 The National Building Code as well as the standards and regulations specify the minimum parameters to consider during the design and the construction of a structure, such as snow or wind loads for instance. What was the cause of the damage? An extraordinary load? A lack of conformity? Contact us and we will tell you. Our team can also help you with the repairs of structural damage, in developing a procedure for selective demolition, in designing temporary supports, or in elaborating plans and specifications for permanent reinforcement or the replacement of the damaged segments.